We are a learning garden for our students and for you. Our extensive plant collections and gardens are well-designed models of annuals, perennials, trees, and shrubs, both native and non-native, for the central Ohio climate. The plants and the intensely landscaped gardens are the focus for urban design and environmental studies. Our plant collections and gardens provide diverse plant material for use by a variety of disciplines including horticulture, landscape design, and plant pathology. They also offer an outdoor environment for disciplines such as engineering, architecture, art, dance, theater, and you. The gardens are maintained by a small but very knowledgeable staff who mentor our student interns and volunteers in the operations and maintenance of a public garden. Ohio State faculty provide input into the collections and plant material needed for use in their classes. Chadwick purchases, installs, and maintains the gardens for their use as well as other local colleges who offer horticulture classes. We hope everyone will find enjoyment and learning in our gardens. During the growing season, the arboretum's colorful displays attract many visitors. The gardens are beautiful year-round and abound in unique horticultural interest – from wonderful fall color to snow covered vistas in the winter. an extensive hosta collection, container plantings, tropical foliage plants, perennial borders, unusual annuals, wildflowers, grasses, flowering bulbs, and so much more. Owing to our long continued summer drouth (sic) the plants did not look as well as usual. [However,] By the completion of the Green-house … we will not only add to the attractiveness of the University, but also furnish a valuable means of illustration for the students of this department. 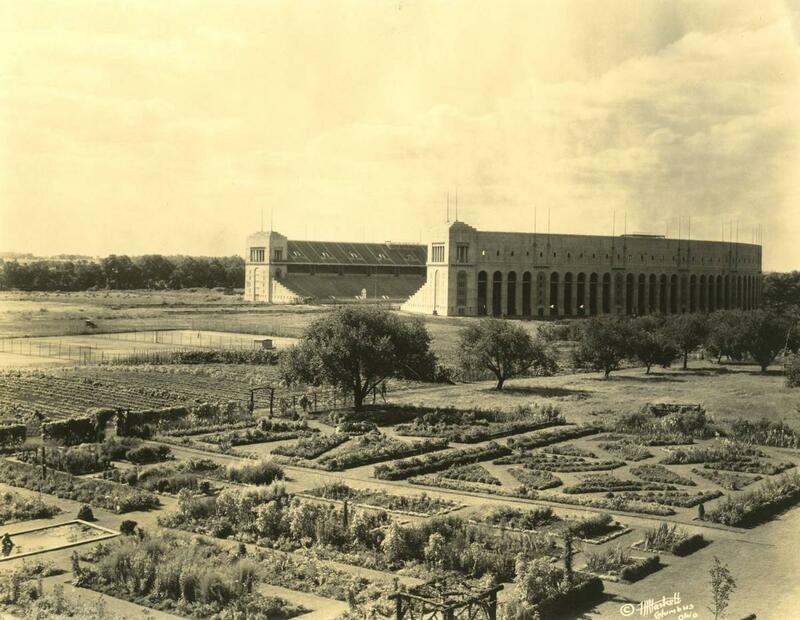 For many years, the Horticultural Gardens were located west of Campbell Hall, behind Townshend Hall, just a stone’s throw from the Ohio Stadium. In April 1980, the Department of Horticulture proposed to establish an arboretum along Lane Ave. north of the Agriculture Administration Building. The Ohio State University Chadwick Arboretum was established July 11, 1980 and named to honor Lewis C. Chadwick, PhD, a respected faculty member of the Department of Horticulture from 1929 until his retirement in 1967. A dedication ceremony was held in May 1981. 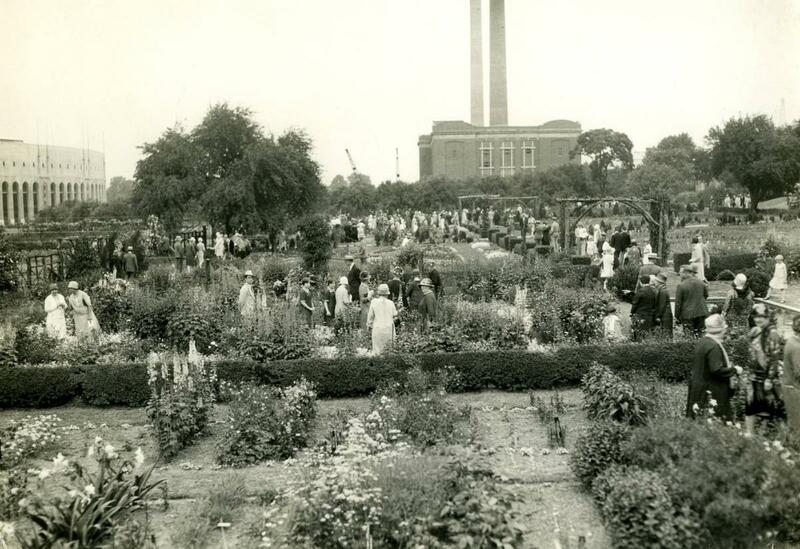 At the time, the arboretum included several acres of gardens along Lane Avenue. In 1985, excavation began for a lake NW of the Lane Avenue and Fred Taylor Drive intersection. In 1989, Janet Oberliesen was hired as the full-time Ohio State Development Officer for Chadwick Arboretum. The arboretum expanded to 36 acres, surrounding the sports parks on the west side of the Olentangy River. 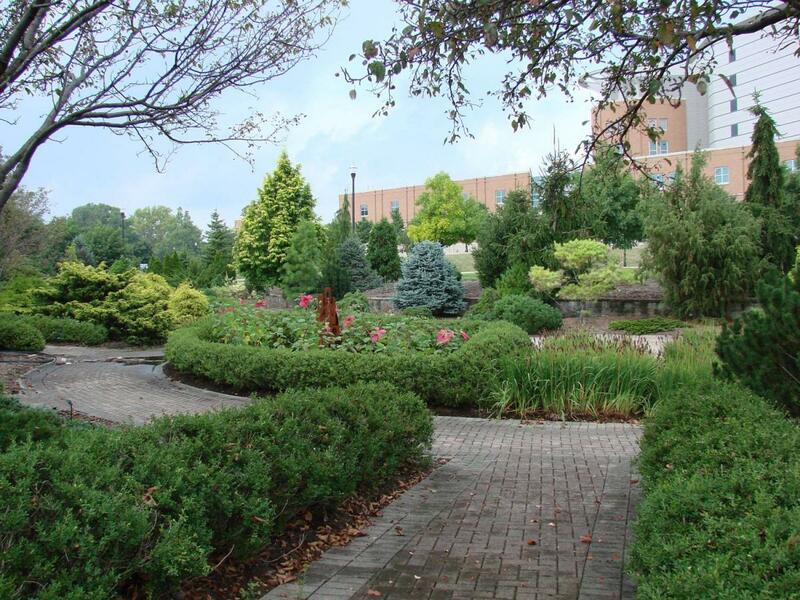 In 1995, the Richard and Annette Bloch Cancer Survivors' Plaza was added to the arboretum grounds at the NE corner of Lane Avenue and Olentangy River Road. In 2003, two signature gardens, the Katherine H. Van Fossen Wildflower Garden and the Bert & Josephine Kleinmaier Perennial Garden, were relocated from the Lane Avenue Gardens and rededicated in the newly created Learning Gardens in front of Howlett Hall. 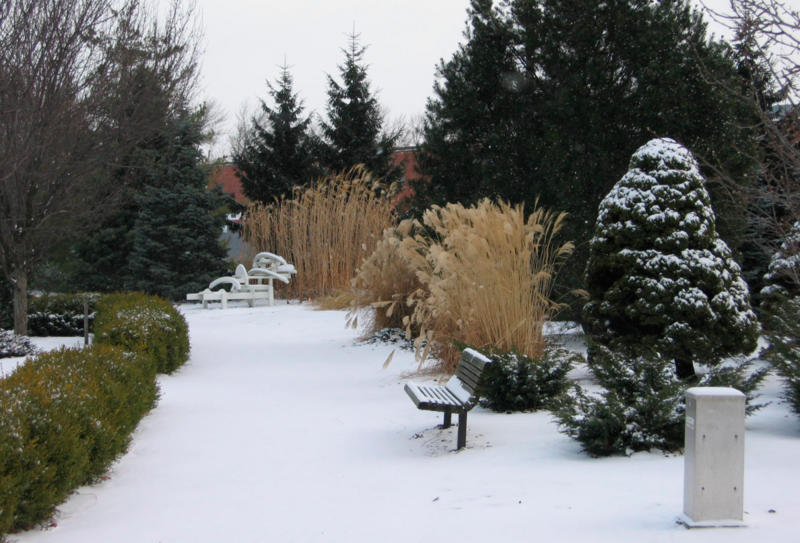 Today, the Chadwick Arboretum & Learning Gardens includes 60 acres of cultivated gardens and plant collections. Chadwick Arboretum & Learning Gardens honors our Land-Grant tradition by providing extensive and diverse plant collections for education, research, and enjoyment. Lewis C. Chadwick was born on August 13, 1902, in Randolph Center, Vermont, the youngest of 4 children. Growing up on a farm, he learned much while tending the crops and livestock. According to his daughter, Barbara, while at Randolph High School, Chadwick was determined to find a way to fight the potato blight that was taking its toll on the seed potatoes grown by local farmers. Pest control for potatoes was his first high school research project. He later received his Bachelor of Science in horticulture from the University of Vermont in 1925 and his PhD in horticulture from Cornell University in 1931 where his thesis was on plant propagation using rooting cuttings of ornamental plants. 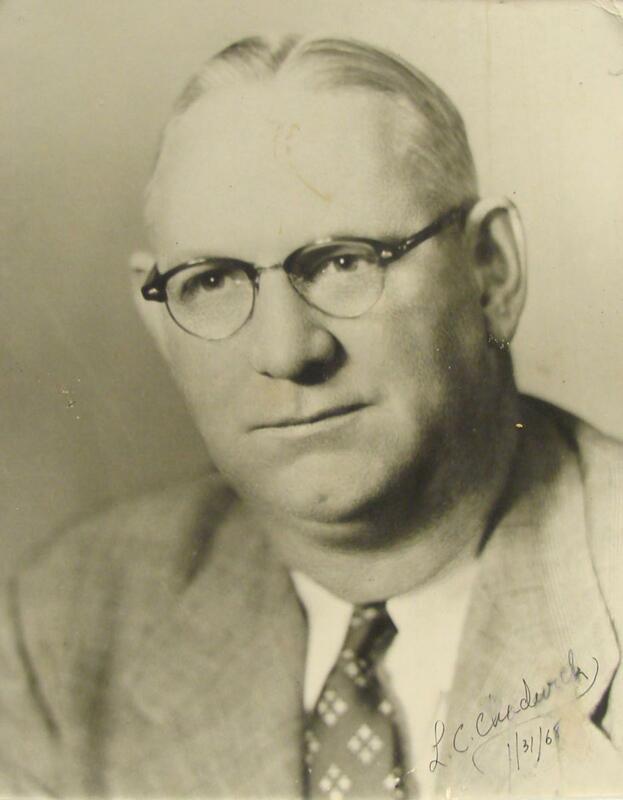 The Ohio State University hired Chadwick as an Assistant Professor of Horticulture in 1929. He was a faculty member in the Department of Horticulture from 1929 until his retirement in 1967. During his tenure at Ohio State, Chadwick held similar responsibilities at the Ohio Agricultural Research and Development Center (OARDC) in Wooster, Ohio. He was honored for his contribution to the Wooster research center when The Ohio State University named the Taxus collection at Ohio State Secrest Arboretum in Wooster, Ohio, after him. He was known as a tree researcher and organized the International Society for Arboriculture. His contributions in the selection of trees throughout the Ohio State Columbus campus landscape and at Secrest Arboretum in Wooster are his legacy. In 1929, Chadwick created and coordinated the OSU Nursery Short Course followed by the Tree Evaluation Program. The OSU Nursery Short Course and the Ohio Nursery & Landscape Association Central Environmental Nursery Trade Show (CENTS) are still held yearly in Columbus, Ohio until 2015 when ONLA orchestrated its own educational tract separate from Ohio State University Extension (OSUE) sponsorship. CENTS continues as one of the nation's most comprehensive green industry trade shows. Beginning in December 2014, Ohio State University Department of Horticulture and Crop Science, in a new partnership with OSU Extension's Nursery, Landscape, and Turf Team will continue the short course of workshops, educational sessions, and presentations on landscape, ornamentals, plant selection, business management, and other green industry topics. The new educational endeavor sponsored by OSUE and the Extension Nursery, Landscape, and Turf Team (ENLT) is called the Ohio State University Green Industry Short Course (OSUGISC). The OSUGISC is a partnership with the OSU Turfgrass Team, OSUE, and the ENLT Team to host both the OHIO/OTF Conference and Show and the Ohio State University Green Industry Short Course on the same dates and location. In the 1960s, Lewis Chadwick and M. W. Staples of the Davey Tree Expert Company had the idea to do a comprehensive study of new tree introductions to decide their suitability for urban environments. Chadwick and Staples proposed a ten-year evaluation study involving the planting of tree species and cultivars at the OARDC. These became the Wooster Shade Tree Evaluation Plots. The evaluation of existing street trees in five Ohio cities (Cincinnati, greater Cleveland, Columbus, Toledo, and Wooster) was another facet of the original study. Comments and growth measurements were taken between 1967 and 1970 of the city street tree plantings. Data was compiled by Dr. Kenneth Reisch (now emeritus) and published in the OARDC bulletin entitled Case Histories of Several Tree Species and Cultivars at Selected Sites in Five Ohio Cities. This original document, with its accompanying photographs produced by Dr. Reisch and Project Chairperson Richard Abbott, is a treasure of information for city foresters, nursery managers, landscape architects, city planners, tree commissions, and community administrators. This document not only evaluates the growth of trees planted in rights-of-way, but it also identifies the locations for future observations. For additional information on the Tree Evaluation, click Ohio Department of Natural Resources. Chadwick was considered a friend by faculty and students alike. He was concerned about each student's knowledge, education, problems, career, profession, organization and, most importantly, he was concerned about each student as a person. The extent of his impact on the thousands of lives he touched will never be known. It is agreed, however, that he influenced each person in a positive way. He was a scholar and a perfectionist who worked diligently to enhance progress and improve his profession through research, education, leadership, and just plain hard work. He was never satisfied with maybe or probably and never quit until he resolved the problem or challenge of the moment. He was a plantsman extraordinaire and his research, which was respected throughout the world, was sound and blazed new trails in plant propagation and many areas of ornamental plant culture. Chadwick is credited with bringing the field of arboriculture to professional status. He is also well known for developing a system for propagation using hormones. His teaching was memorable and special. He moved fast – and it was said that if you dropped your pencil during one of his lectures, you'd never catch up in time for the exam. His vast knowledge in horticulture was brought to life for his students. He moved his students to learn and understand by linking his classroom with reality through labs, field trips, and real-world experiences. He and his students spent a lot of time outdoors and like the postman, he was undaunted by the weather. Those who studied plant materials with him often recall his last outdoor plant test in the fall. It was often cold enough to freeze the ink in your pen, but in his wisdom, he may simply have been conditioning his students for the real world of outdoor work. Professor Lewis C. Chadwick died on October 3, 1993 at the age of 91. 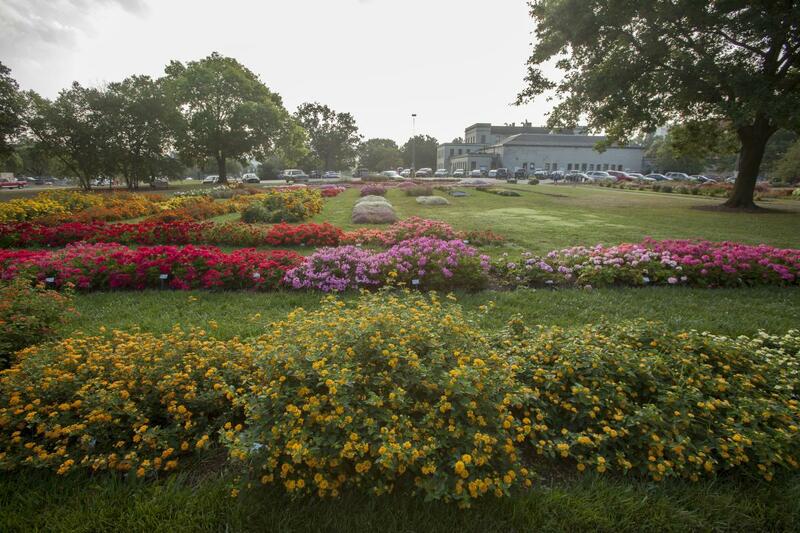 Our 60 acre gardens honors his legacy.